Drawings of our children are treasures but it is hard to keep them organized and protect them from wrinkling. Do you keep them in a box or a folder? We have a better suggestion. Scan and put the drawings in time order and add some notes to them if you like. We make a beautiful book for you using this material. All mothers need a notebook. Some use it to keep track of household spending others collect phone numbers, make notes of useful tips for the household or create a travel diary. If you know what your Mother uses her notebooks for, we know what will make a notebook especially practical for her. Does she have a torn, food-soiled, old notebook where she writes down her tested recipes? Or is she the kind that collects them on scraps of papers? You can find a wealth of gift ideas for Her on our Cookbook from recipe-scraps page. Besides the old photographs we can include old letters and documents or other keepsakes in the book. When collecting the book material photo albums of relatives can be a real treasure mine. Another great source of information can be Dad, her husband, who surely keeps numerous old souvenirs. We can correct and touch-up on old, faded, torn and wrinkled photographs saving them for a long time to come in the form of a photo-book. 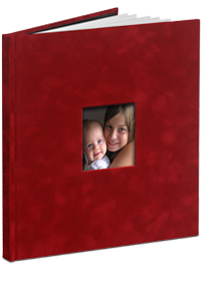 One of our dear clients hired us to make a Book of memories for the 50th birthday of his mother. He requested all friends and relatives of her to recall one short treasured story that somehow is connected to his mother. From these little stories came a really touching, personal book of memories. Does your mother make beautiful handwork or does she have a hobby? 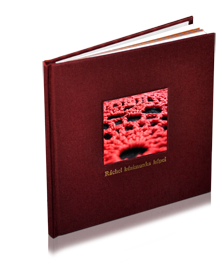 We can make a nice book showcasing her work in a book printed on heavy paper, in art quality with custom binding. Stop waiting! 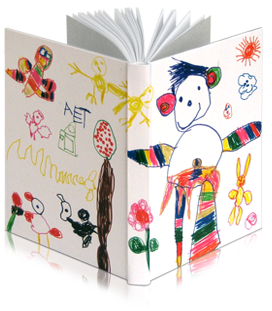 Surprise your Mother with a special custom-made book!